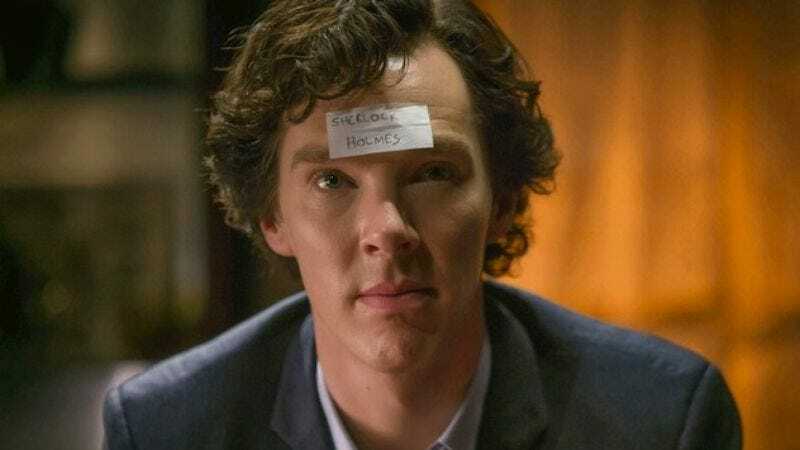 This post contains plot details from the entire run of Sherlock, speculation about the future of Sherlock, and a discussion of a Sherlock adult coloring book. Read at your own risk. Here’s a story about an official Sherlock adult coloring book in which the biggest news is not that a Sherlock adult coloring book exists (adult as in “marketed towards grown-ups” not adult as in “sexual,” although the latter can almost certainly be found online). It turns out this book might confirm a popular fan theory: That Mary Morstan (Amanda Abbington) is the show’s stand-in for Sebastian Moran, one of Sherlock’s enemies in the original Arthur Conan Doyle novels. Titled Sherlock: The Mind Palace, the official coloring book claims to have “vital” clues added by illustrator Mike Collins that are “essential to solving the crimes in each episode.” One of these clues immediately stuck out to Tumblr user Ladymacphisto, but to understand its significance one must deep dive into the world of Sherlock fan theories. As helpfully laid out by The Daily Dot, fans have been hoping for an appearance from Sebastian Moran almost since the show began. In the books, Moran is a highly skilled assassin who works with Sherlock’s nemesis Moriarty. In the Sherlock season one finale and season two opener, Moriarty (Andrew Scott) confronts Sherlock and Watson at a pool while a couple of his snipers aim guns at them. Fans speculated that one of those mysterious snipers would later be revealed to be Moran. And while that hasn’t happened (yet), the show did later add a character named Mary Morstan and since her last name is similar to Moran, fans wondered if she was a gender-swapped version of the character. Though it at first seemed a little out there to assume Watson’s likable love interest would turn out to be a secret assassin, that’s actually exactly what happened. Though never confirmed as “Moran,” the show did reveal that Mary has a secret past as a deadly marksman. Regardless of whether Mary reveals she used to go by a different name, it does at least suggest she was one of the snipers at the pool. Unfortunately, fans will have to wait a long time for confirmation one way or another. The show’s upcoming Christmas special is a one-off that takes place in Victorian England, and the BBC hasn’t even begun production on the next season yet. That leaves plenty of time for showrunner Steven Moffat to mock fans for thinking he’d put clues in an adult coloring book, only to years later mock fans for not picking up on the clues he put in an adult coloring book.